There comes a time in the fall when every gardener who gardens in a climate with a true winter season with snow and ice and, well, winter, must decide. 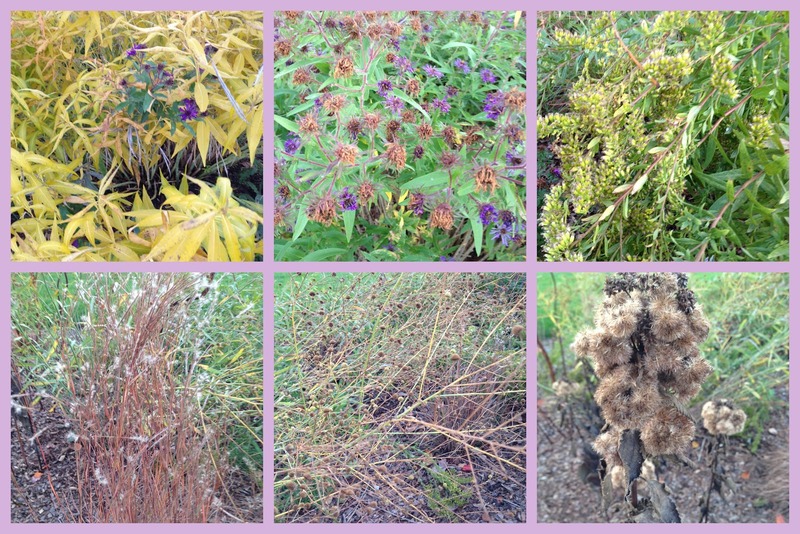 Cut down those seed heads on the perennials and grasses or leave them standing thru the winter. The proponents of leaving the perennials alone for the winter point out that many of those seeds are food for the birds. Plus, all those perennials, even stripped of bloom and leaf, add that oft-spoken of structure to the winter garden. Oh, and not too mention, those seeds may fall to the ground and sprout into new seedlings that you can dig up and give to others or plant in bare spots somewhere else in the garden. What's a gardener to do? What a gardener needs to do is just decide for themselves and do what feels right to them. I do a little of both, depending on my mood and the amount of time I have in the fall to do garden clean up and what type of flower it is. The seedlings that come up from all those perennials left standing through the winter are both a blessing and a curse. Right now, they are a blessing in the August Dreams Garden border. I want those plants, which are mostly native flowers, wildflowers, to seed forth and multiple, to fill in and create the look of a prairie. Those seedlings are a curse in Plopper's Field. That garden is pretty full and lush already. If there are open spaces, I want to fill them in with all my impulse purchases, not the same plants I have today. So decide for yourself. Cut 'em down or leave 'em standing. 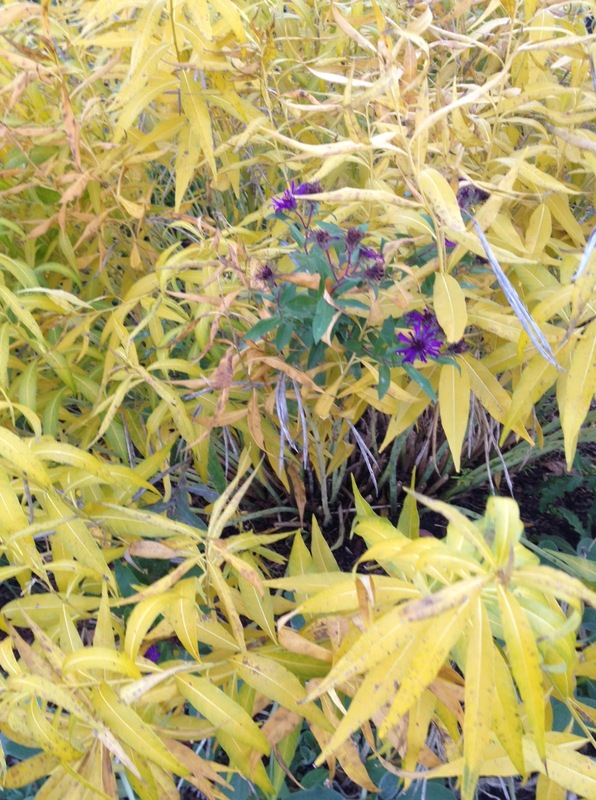 There's no right or wrong answer when it comes to cutting back perennials for the winter. Seeds of August Dreams Garden border. Just be prepared to accept the consequences of your choice. 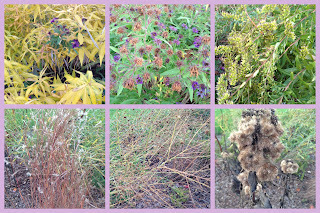 I find that self-seeding perennials and annuals are less of a problem than weeds that I've allowed to set seeds, and since these decisions most often come down to limits on our time, I would concentrate on weeding consistently (always keep a hoe in the garden tucked behind a shrub) rather than cutting back the "good plants" in the fall. Also, a lot of the re-seeding is taking place by mid and late summer before you really want to cut anything anyway. It is an individual choice isn't it? I cut some and leave some. Usually I run out of time and energy and then there are bulbs to be planted. I leave most but cut back the Cup Plant~Silphium is a notorious seeder and I don't need twenty 12 foot tall plants in my small Susan's Bed. I do a little of both. I will not leave Liatris in my garden. Once I did, and I had seedlings everywhere in the flower bed.I do leave allysum, and a few verbena Bonariensis,so that they will self sow. I cut down my Black eyed susans. I follow the rule: "Moderation in all things." Cut back a little here, leave seed heads a little there. I still end up pulling a few seedlings in the Spring. Winter gave us a tease yesterday... we had snow. But hey! Not so bad. It provided a great photo op for the few remaining blooms to strut their stuff. The snow melted by noon and the sun was radiant. Hi Carol, I like to cut back in the fall. When spring comes, I am eager to plant and enjoy new life -not do garden clean up. I want a clean slate when spring comes. I do leave the ornamental grasses, clematis, and coneflowers though. I have never had enough time before snow flies that this is a dilemma for me. If I manage to cut down anything at all, it is the foliage that is known to create disease problems, such as peony foliage. Bulb planting, weeding, and mulching (in that order) are higher priorities. I generally leave grasses and other plants that look good through the winter, then cut down most of the rest. Some low plants, like nepeta, I leave until spring because they help insulate the other perennials. I leave most everything standing for all the reasons you mention...and because I usually run out of time.